Driving can sometimes be a solitary affair, heading from place to place with only the road and the radio for company, but that could change with Kirobo Mini. 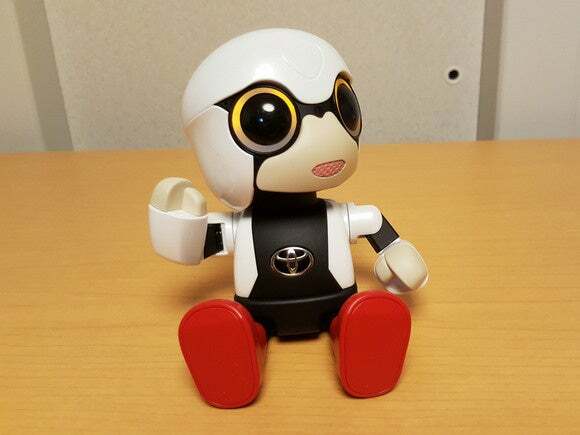 It's a small robot developed by Toyota that's designed to act as a virtual companion, listening to and responding to chat from people in a car or just about anywhere. At 10 centimeters tall, its small size means it can easily be carried around. The technology behind it is quite simple. Audio is sent from Kirobo's microphone to a smartphone running a companion app. The phone passes the audio on to a Toyota cloud service that runs voice recognition and helps to determine the appropriate response. That is then sent back to Kirobo via the smartphone app. This makes the robot essentially little more than a microphone and speaker in a unique form factor, so why not just build it into the dashboard and chat with it like you would with Apple's Siri or Google Now? 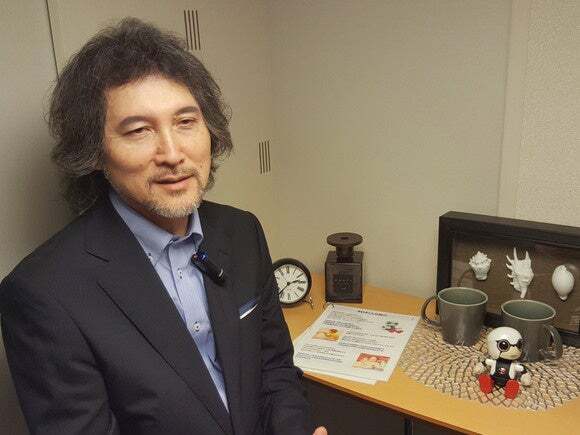 "Children in Japan talk to their stuffed animals," said Fuminori Kataoka, a Toyota project manager who designed the system. "They're not actually communicating but in their heart they feel they are. So people find it easier to speak to something like this than speak to a navigation system." Fuminori Kataoka, project general manager at Toyota, explains the Kirobo Mini robot in an interview with IDG News Service at Ceatec Japan near Tokyo on October 3, 2016. 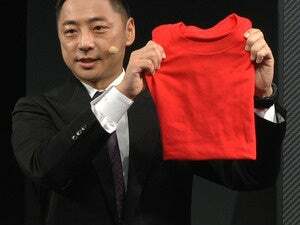 Toyota's also done other things to make Kirobo feel like more than just a machine. The robot will turn its head toward whomever is talking to it, and it can move its two arms when expressing itself. It has a built-in camera and attempts to recognize someone's facial expression to determine the mood they are in. At the Ceatec electronics show in Tokyo, where Kirobo Mini was unveiled on Monday, that wasn't a hard task. Everyone was smiling as they interacted with the cute robot. Toyota's Kirobo Mini robot on show at Ceatec Japan near Tokyo on October 3, 2016. Other features include the ability to "learn" about its owner through conversations so it will get to know personal preferences. 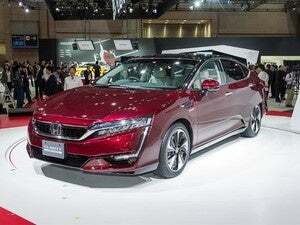 By linking with the car's IT system, it will also know a little about the journey and be able to provide comments like "That was a long drive, well done!," according to Toyota. It will be able to chat for up to 2.5 hours on batteries. 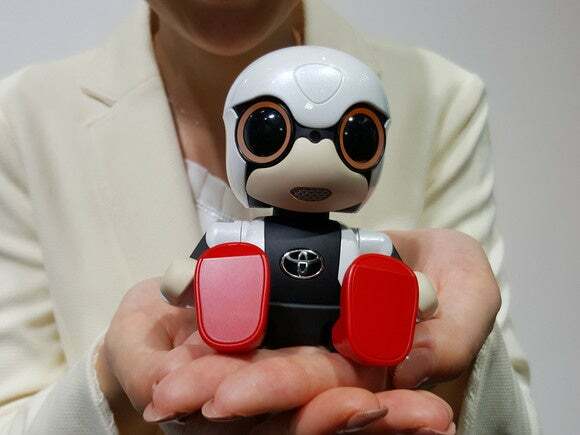 Toyota is launching sales of Kirobo Mini this week at dealerships in Tokyo and its home prefecture of Aichi. It costs ¥39,800 (US$392), and there's also a ¥300 monthly fee for using the Toyota cloud service. It will be available across Japan next year. There's no word on when or if it will be launched in other countries.